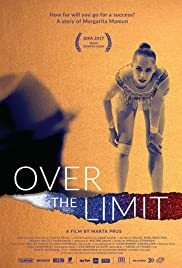 An intimate portrait of the world’s most outstanding rhythmic gymnast Margarita Mamun who needs to overcome mental fragility to take part in the Olympic Games. OVER THE LIMIT begins with a beautifully choreographed display go gymnastics by Olympic gymnast Rita Mamun, doing wonders with a hoop. To the audience’s surprise, she is then violently chided by her trainer, a Ms. Irina despite praise from her coach, Ms. Amina. The film concentrates its focus on these three individuals. Ms. Irina is depicted as the wicked manipulative witch who hurls abusive insults and personal attacks on both Rita and the coach. The main goal is the winning of the Olympic goal which becomes the climax of the doc. Is this successful Russian system for training athletes transgresses boundaries really worth it? Results may show but the path and destruction of human lives might not. This is what Prus intends to show and succeeds. Elite rhythmic gymnast Rita Mamun has reached a crucial moment in her career. This is a difficult to watch nail-biting behind-the-scenes drama about the intense physical and mental labor put into a sport that thrives on its beautiful aesthetics. But there are too many repeated segments of Ms. Irina abusing Rita. The audience gets the point early in the film.